Hi everyone! 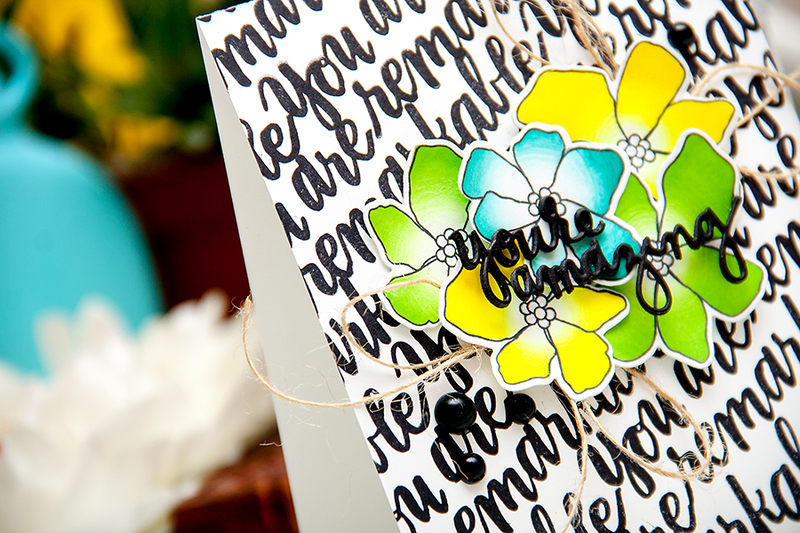 I’m excited to join Simon Says Stamp for a Hop To It Blog Hop today! We are all sharing projects using the wonderful Hop To It release which includes stamps, dies and more! I created two cards using almost identical supplies and I experimented a bit with different color mediums to achieve a very bright and bold and a soft pastel looks. I used the Hand Lettered Encouragement set. 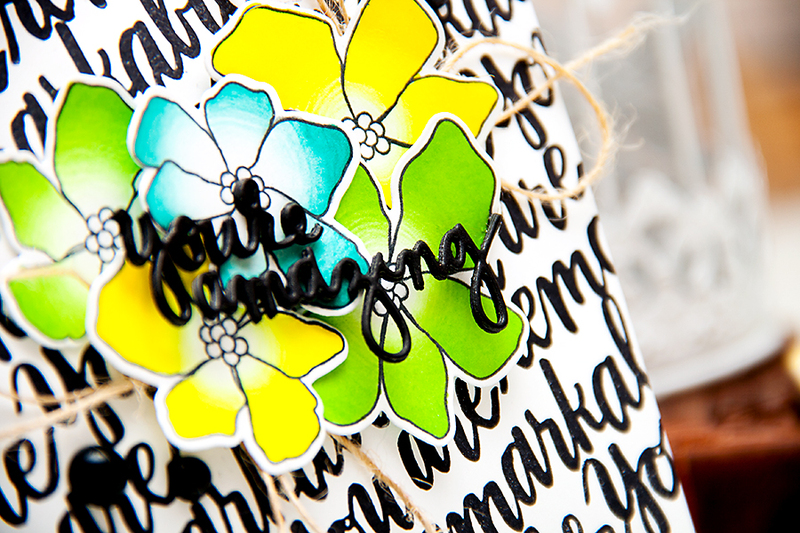 I absolutely love the You Are Remarkable sentiment, I think its perfect for many-many occasions, and there are lots of other great encouraging sentiments in this set; I also really like the big and bold font, I think these sentiments would look spectacular when stamped in black ink and this is actually what I’m going to be doing today for one of my cards. The second stamp set that I have is called Artful Flowers and I really like these outline floral images. There’s lots you can do with them, you can stamp the outline in black and color them using matching solid images, or you can first stamp the solid image in a bright color and than stamp the matching outline in white ink, I think that would look very beautiful. You can also use the solid images on their own, and the same goes for the outline images, and you can of course color these using markers, pencils, daubers – really just anything! Stunning flowers and you can never have too many flower stamps. Each stop on the hop will receive a Simon Says Stamp Prize pack randomly selected by Simon on February 23. Leave a comment on this post before February 23rd to be entered into this giveaway. Comment on other participating blogs to increase your chances to win! The winner is: Lysa! Congratulations! GORGEOUS! 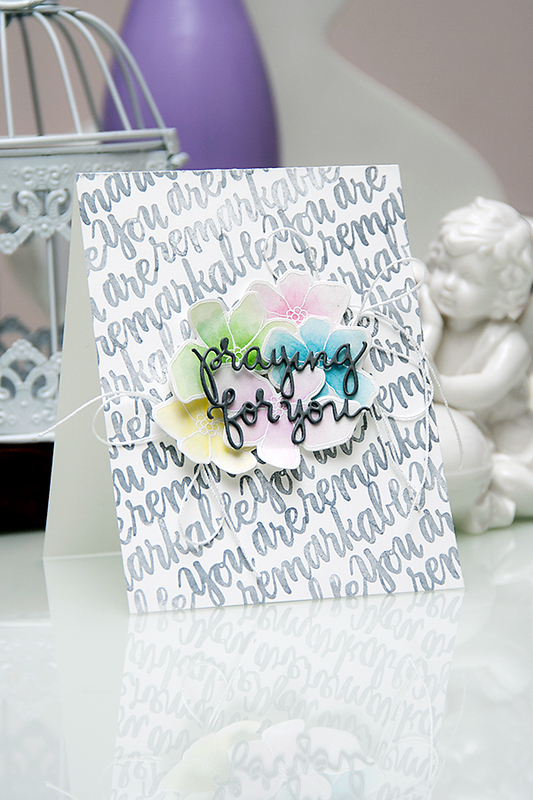 I love the bold colors against the black and white text background on your first card- Stunning! and the opposite soft pastels are beautiful too! 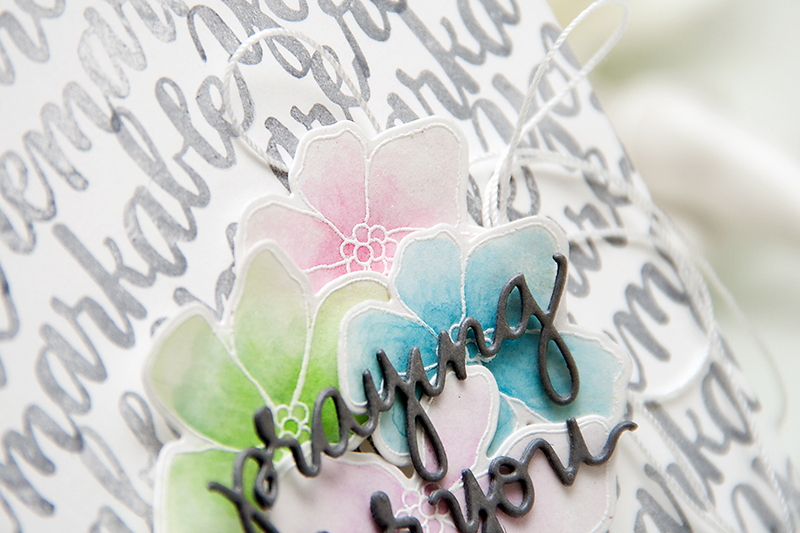 Love both of your card samples, especially that “praying for you”. 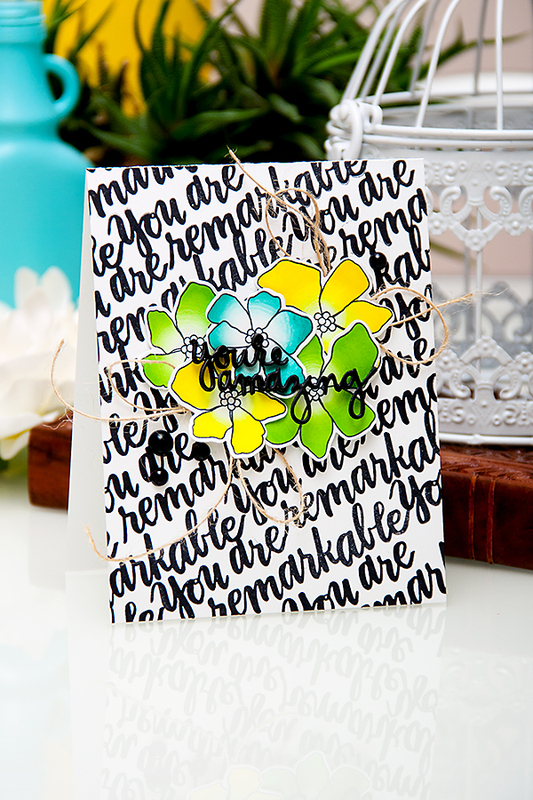 Two gorgeous cards… one bold, the other pretty! 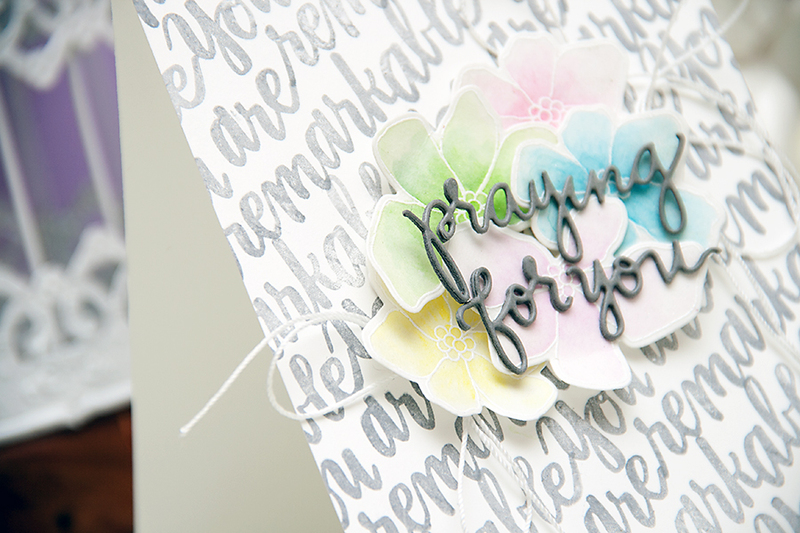 Love both cards, the bright colours are so “zingy” and the pastels, so soft and muted.